The engineless technology is also adapted for trailers. Providing respectively 12 600 and 15 400 Watts, the Vector 1950 E are designed without the diesel engine for a sustainable and low noise operation. Combined with an ECO-Drive 25, they provide a powerful solution for engineless trailer refrigeration. 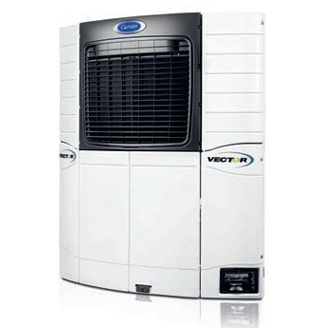 It’s an electric only unit that provides a powerful, low noise solution for cold storage temperature control.